Fractures Soul begins with Llona’s first day at Lucent Academy and even though there’s only a slight chance of things getting back to normal, Llona knows her life wouldn’t ever be the same. Her plan is simple: to learn more about the nature and history of Aura, hone her abilities and get out of world the Auras has chosen to live in. However, she is yet unknown to the danger that threatens to wipe out Auras and it seems that trouble has followed Llona inside the protected walls of The Lucent Academy. The stakes are higher especially when the ones responsible for the safety of Auras are willing to sacrifice it for personal gains. Llona has her own demons to deal with as darkness calls to her, a hunger lodged deep inside her and the smell of blood everywhere. It is no surprise when Llona plans to sneak out at night unable to get rid of her nightmares. Llona craves destruction and her need to get rid of the energy buzzing inside of her leads her to Vykens present close to Lucent. Llona fights the blood battles despite warnings from Jackson, a Guardian. Christian also arrives but Sophia is against their relationship and makes it clear so. Despite the dangerous ground she is treading upon with him, Llona knows he means too much to her to lose him. Thus, she eventually takes Liam’s offer to help the light within her come to life again. Rebellious as ever, Llona has to overcome the difficulties she is faced with. Fractured Soul fits perfectly to Llona’s state in this book as she tethers on the edge of darkness. 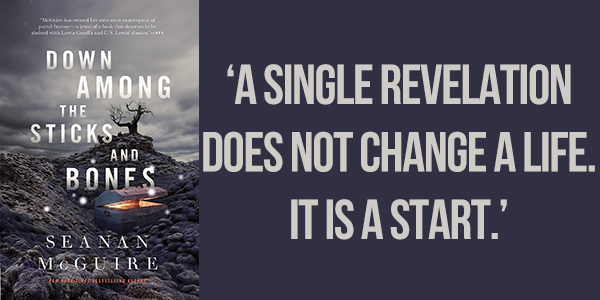 Threats are given, secrets revealed and hearts are broken as it becomes clear that something big is going on. With the help of Christian, Liam, Tessa and May, Llona sets out to fight the danger, loving the thrill it offers to a showdown and another life-changing moment in Llona’s life. Will she ever find salvation and come to peace with herself? Fractured Soul shows a new side of Llona, but she is consistent with her rebellious streak which is what I love about her. This is one tough nut to break. Fractured Soul is a very satisfying continuation of the series and I’m more than looking forward to how it will end. Three cheers to Rachel McClellan for crafting a yet another brilliant story. Starting 4 February, buy the eBook of Fractured Light for only $2.99 for two weeks only! What is the one thing writing Fractured Light series has taught you about yourself? 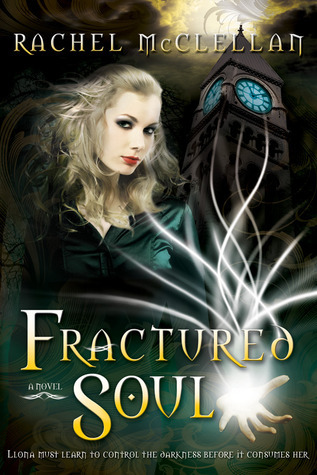 What five words would you use to define Fractured Soul? Enduring, power, loyalty, strength, and heart-breaking. Despite being cautious about her survival it’s clear that Llona’s looking for more than just to survive. How does that shape up in Fractured Soul? It’s one thing to survive outside forces, but I think it’s a whole other beast to survive inner torment. In Fractured Soul Llona has to do just this. In addition she wants desperately to fit in, but not at the cost of giving up what she believes in. That’s why the title of this book is so perfect for Llona. Manipulation of light. How did you come up with the idea? I’ve always been fascinated by light. It contains so much power and always chases away the darkness. This is an eternal truth that can never be changed. Because it is so strong, I wanted to give it to a teenage girl to see what she could do with it. I was pleased with the results. Did you think making Llona’s hair to be so whitish blonde made her stand out more? Or is it only about being different? I wanted there to be something in Llona’s life that not only made her stand out, but also was something she couldn’t control. Sometimes that’s how how life is–we are different and there’s nothing we can do about it. Everyone should know that you are – ? Really into my TV shows, but I don’t just watch them for enjoyment. I study how they are done: when the main conflict is introduced, how the characters develop, how they keep the dialogue focused on the current problem, etc. I love the shows The Walking Dead, Being Human, Supernatural, The Vampire Diaries, The Following, and Downton Abbey. Does writing run in your family? My mother is an excellent poet and has written some short stories. And although she’s the only writer, everyone else in my family is extremely artistic. I, however, can not draw or paint to save my life. Only create stories. 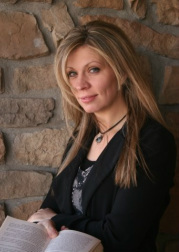 Thanks to Rachel McClellan and Cedar Fort for providing me a copy of Fractured Soul for review. I have always been fascinated with conflicting concepts; happy and sad, day and night, sweet and sour, you name it. So it wasn’t surprising for me to be drawn to a book about fighting darkness with light. It always make me think about mean people trying to bring down the bright ones, to take out their lightness of being just to feed on their satisfaction. Needless to say, Vykens are exactly like that to the Auras. Llona Reese, an Aura, is an unpredictable character; losing her parents have left her with a determination to live life and not succumb to the charms of belonging to one place. A place that could be called home. Survival is her utmost priority therefore, moving constantly from one place to another is the only option. But now things are changing ever since she and her uncle, Jake moved to Bountiful, Utah almost a year ago. A subtle friendship with May and keeping her head down most of the times is how Llona has chosen to spend her last year at high school. I liked Llona and how she trusts her ability to defend herself and play with danger, inviting it to get closer. As Llona discovers her abilities, she finds herself wanting to make use of the Light within her. Llona is not whinny and her life is not defined by falling in love with an unlikely character and then sulking about it. Sure there is a subtle romance in the book but it is neither overbearing nor does it overshadow the main plot. Christian’s sudden interest in Llona is strange enough to make her question it because she’s had her fill of trusting others too easily. Christian is a complex character and even though Llona knows where she really stands with him, she cannot help but be drawn to his gentleness. That being said, the overprotective nature of Christian annoyed me at times but then that’s what it really was, his nature. Packed with intense action, unpredictable twists and an inevitable fate that brings her closer to her mother’s killer every day. The combination of whitish blonde hair, Llona’s stubbornness to use Light as a way of helping others and the normal day-to-day stuff of dealing with mean jocks, being a part of a book club and going to prom is pretty enticing. The story progressed at an uneven pace but it was easy to catch up to it. 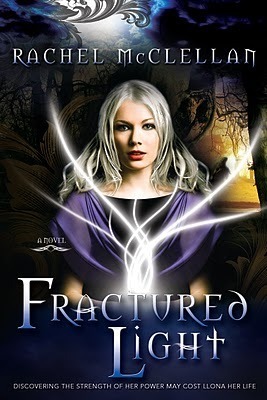 Fractured Light is Llona’s journey to embrace her true self and to become invincible from invisible. 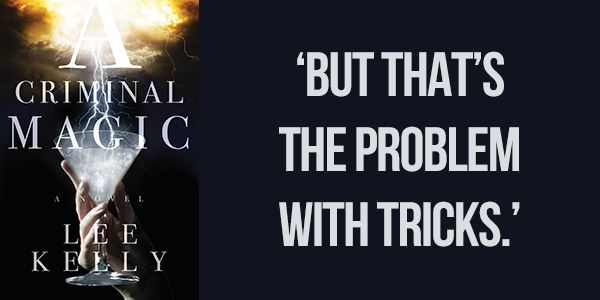 A spellbinding read you just don’t want to miss reading! I’ve been drunk on writing ever since I traveled to Ireland and became blessed (or cursed) by a Leprechaun with a french accent and a bad attitude. Of course I did just steal his gold, but that’s another story. I currently live in Maine and find the place terribly and hauntingly romantic. Love the forests and graveyards. My YA urban fantasy novel FRACTURED LIGHT was just released. The sequel is tentatively planned for release in February 2013. Buy the eBook of Fractured Light for only $ 0.99 for this week only! Thanks to Rachel McClellan and ATOMR for providing me a copy of Fractured Light for review.